These are the gloves I use on cold shoots since every location is not going to be sunny and 75. 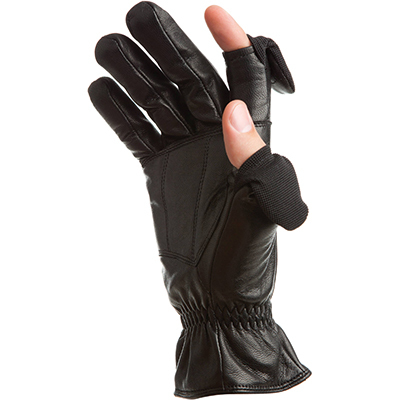 These men's leather gloves are meant to keep your hands from freezing while still being able to access the buttons on your camera and accessories. With elastic wrist bands to keep the cold out, you don't have to worry about going out in low temperatures to get the shots you need.